Spooky season is upon us this month, meaning there are plenty of activities to keep you busy. Northeast Ohio is full of haunted houses, hay rides and fall festivals. Throw in a special movie screening, a couple of beer celebrations and a convention just for cat lovers and you'll be exhausted come Monday morning. What: Try beer from local, national and international brewers inside Akron's historic Civic Theatre. More than 60 breweries are scheduled to be on scene and attendees will also receive a commemorative glass and light appetizers. Get tickets here. What: This free community event is an ideal way to kick off the spooky season. Kids can trick-or-treat along the Coe Lake trails while exploring various crafts, food vendors and other activities. Wrap up the night with the fireworks display before a showing of "Hotel Transylvania 2" on a giant inflatable screen. Learn more here. What: The annual Best of Cleveland event has become a favorite party among the city's eateries, businesses and socialites. The event showcases the city's best food, businesses and products, voted on by Cleveland Magazine readers. Get tickets here. 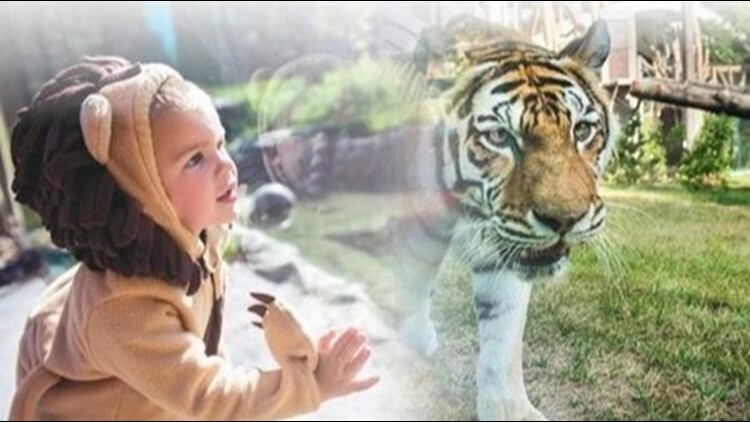 What: The Cleveland Zoo is an ideal place for family-friendly Halloween activities and Boo at the Zoo kicks off this weekend. Visitors can wear costumes, find their way through a hay maze and trick-or-treat at different stations set up across the zoo. Get tickets here. When: Oct. 12-14, 19-21, 26-28, 5-9 p.m.
What: The 10th Cleveland Beer Week kicks off Friday and there is a whole lineup of events for craft brew crazies. Featured events include the Brewzilla tasting show, Deep Brew Sea at the aquarium and collaboration bar crawls in Lakewood and Ohio City. Learn more here. What: Akron's biggest Halloween party takes place this weekend, all thanks to organizer Claude DeBord, who started the event 23 years ago. The extravaganza is a family-friendly affair with plenty to do. Entertainment includes special guest appearances, live wrestling, train rides, a pet costume contest and trick-or-treating for the kids. Best of all? Admission is free. What: This pumpkin festival is an all-day event for kids and provides tons of fun activities. Kids can try archery, jump in a bounce house, decorate cookies, visit the petting zoo and ride in a rocket car. The $25 wristband fee gets kids access to all the activities. Learn more here. What: The Sanderson Sisters are bewitching Fairlawn’s Fort Island Park with a special screening of Hocus Pocus under the stars Friday night. Admission includes a campfire, s'mores, popcorn and other snacks. Learn more here. What: If you're a cat lover, get tickets to the Cat Fanciers' Association International Cat Show right meow. In addition to the contests, you can attend workshops, shop in the "Meow Mall" and meet plenty of feline friends. Get tickets here. When: Saturday 8:30 a.m. to 5 p.m., Sunday 8:30 a.m. to 4 p.m.
What: Determine who makes the best chili on the east side at the Willoughby Chili Cook-Off, where 10 restaurants will compete for bragging rights. Fund raised from the event benefit Willoughby-Eastlake schools. Learn more here.